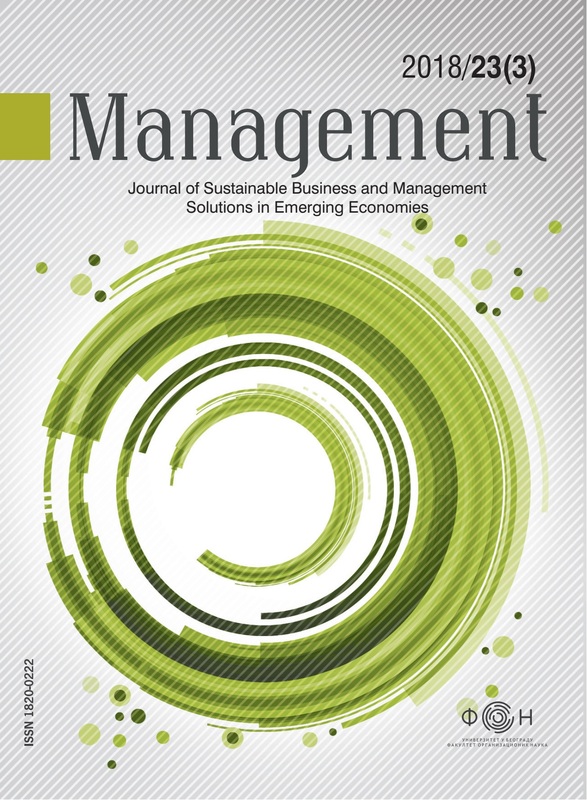 We are proud to announce that Management: Journal of Sustainable Business and Management Solutions in Emerging Economies has been accepted into DOAJ and that researchers like Dr. Ichak Kalderon Adizes, Edmundas Kazimieras Zavadskas PhD,DrSc and Robert Faff, PhD have accepted to contribute to the Journal as the Editorial board members. Subtitle change of the journal "Management"
Does Competitiveness have Anything to do With People? We are using a new Public Knowledge Project OJS platform for our journal since the year of 2017th in order to enable transparent, automatized double-blind review, as well as more secure and functional environment for all stakeholders of our journal. We are still working to solve occasional issues of the new platform, so in case you have technical difficulties, please contact our technical support. We own the deepest gratitude to the Faculty of Organizational Sciences, especially to the Dean Prof. Milija Suknović, Vice-Dean for Finance and Administration and previous Editor-in-Chief Prof. Aleksandar Marković, as well as to our IT colleagues Bojan Jovanović and Uroš Šošević for all the support during the development of the OJS.